Happy Almost-Summer from Theme Park Overload! 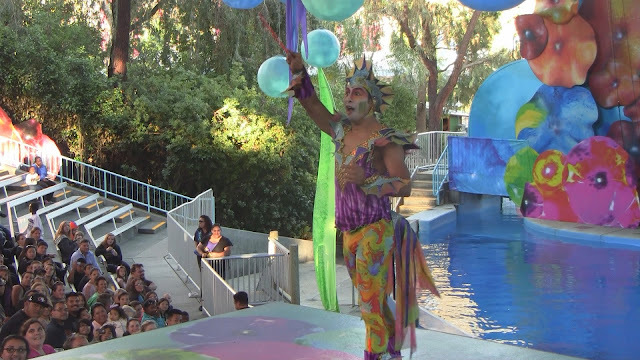 Last night was the world premiere of the new Cirque Dreams Splashtastic acrobatic/dolphin show at Six Flags Discovery Kingdom! 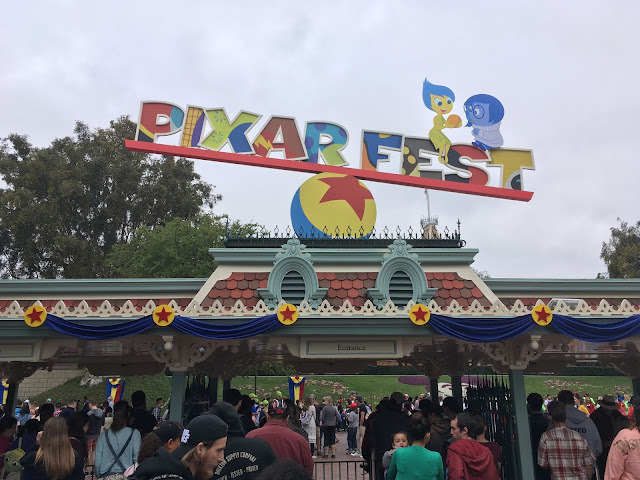 TPO has full coverage from the event, with a show review and HD video highlights with opening remarks from new Park President Don McCoy and Broadway Show Director Neil Goldberg! After getting the "briefing", seen above from Don McCoy and Neil Goldberg, everyone apart of the Media Event was ushered into the theater in a reserved section. In a very smooth transition, the first few performers pop out in their detailed, colorful costumes. Select audience members from all corners of the arena are given a bell, and then he appears. Using just a red conductor's stick and minimal sounds, he warms up the audience with a surprisingly entertaining opening act. Think of it as the opening of World of Color, as it involves audience participation to get everyone excited about the show! After he exits the stage on a high, the show begins! 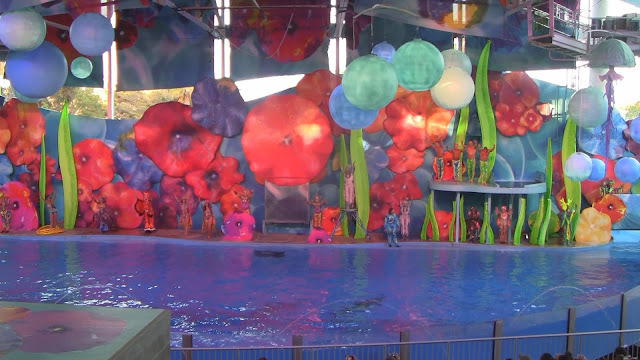 Starting out with a few tricks from the dolphins, the show moves into its acrobatic style acts. I do have to say that the integration of dolphins to the production is a little lackluster. It becomes obvious that the show was strictly a circus style acrobatic show, and the dolphins are a little awkwardly incorporated into it. First up comes the "feats of strength". The duo does a great job in their approx. 5 minute act, demonstrating some fantastic moves. It's definitely entertaining, and continues the upbeat environment the show creates! But the most spectacular act is up next. Using up to 8 freestanding objects, the next act is incredibly suspenseful and entertaining! 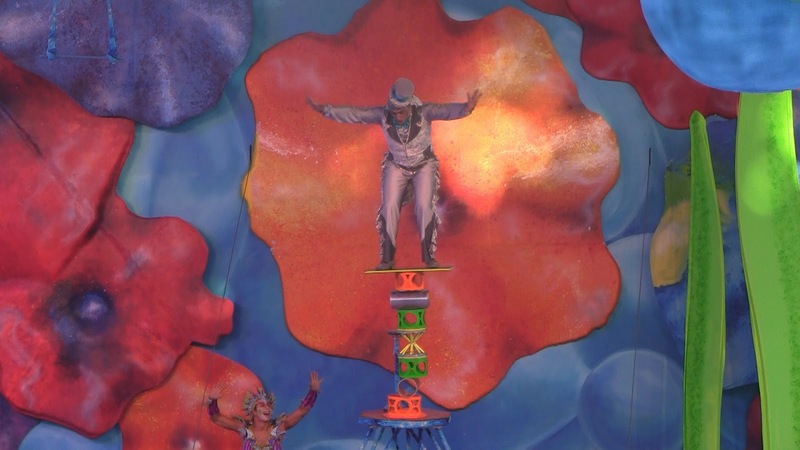 Using different combinations of the on-stage items, this act entertains with amazing feats of balance and stability! Also being around 5 minutes in length, the act is so entertaining that some audience members even stood up and cheered! Easily the highlight of the show, as this one act is reason enough to see it! Overall, the show was pretty entertaining. One note though. If you're coming to see dolphins/animals, this is not the show for you. The dolphins play a very minimal part in the total production, and this may not come as a bad thing for some. Considering the other New-for-2013 show right next door, Drench!, is 100% dolphin oriented with 6 dolphins, I don't think that this show being more acrobatic themed is a bad thing. 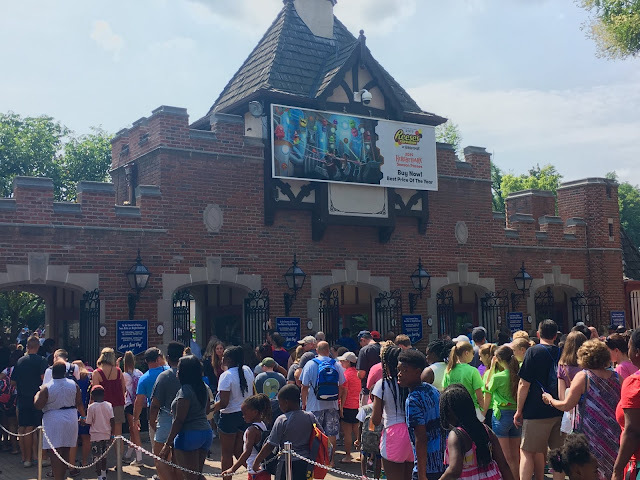 The show is a great Limited-Time addition to the park, with three showings daily through August 11. 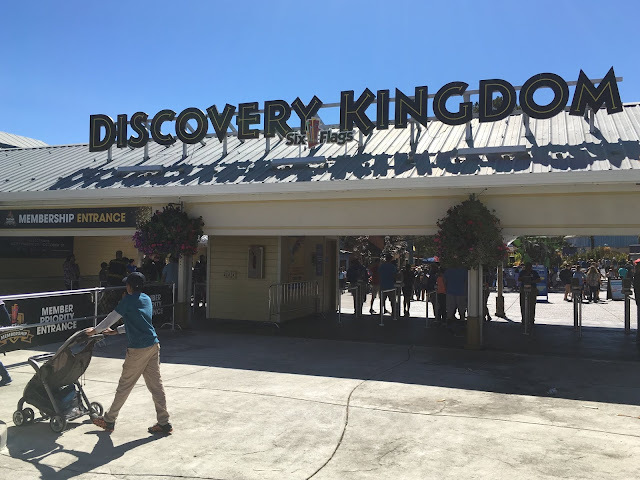 Definitely check it out if you're visiting the park! Like TPO on Facebook for exclusive content and giveaways! www.Facebook.com/ThemeParkOverload My name's Nicholous, and Thanks for Reading!